Honda and Toyota have been battling for 30 years in the midsize sedan vehicle segment with the Accord and Camry. As Americans seek larger vehicles with greater cargo room and a higher driving position, the two brands have taken their battles to the midsize crossover category, but have taken a very different approach with their respective models. In making a Honda Crosstour vs. Toyota Venza shoppers will note the difference in the vehicles’ appearance as well as the dimensions, interior volume and standard amenities. The Crosstour is built off the Accord platform (it was formerly called the Accord Crosstour) while the Venza is based on the Camry platform and both share the same engines and parts as their sedan cousins. The Crosstour returns EPA- rated fuel economy of 29-mpg highway, while Venza achieves 27-mpg with the four-cylinder engine and front-wheel drive. The Crosstour has a slightly larger fuel tank and therefore a longer driving range. These two models look quite different. The Crosstour goes for a more sporty, coupe-like appearance has about 51 cubic feet maximum cargo volume, while the Venza boasts over 70 cubic feet giving it the clear advantage in terms of utility. Alloy wheels are standard on both models as is the auto-off headlights, folding side mirrors and rear wiper. The power moonroof is standard on Crosstour, but available as an option on Venza. The exterior mirrors are heated on both models, and fine quality privacy glass is included on the base trims. 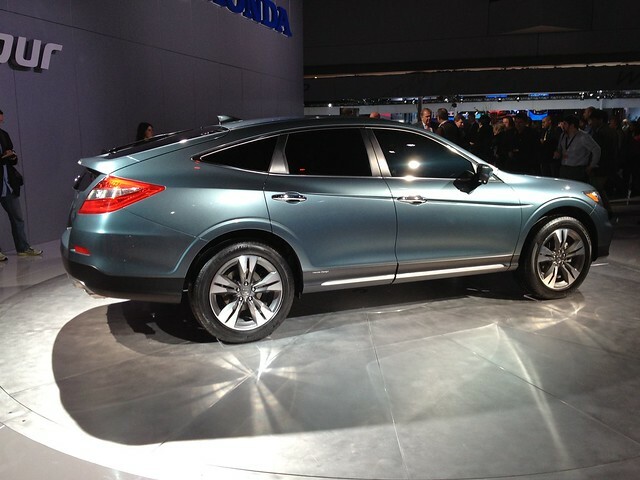 The 2012 Honda Crosstour has several standard interior features not found on the Toyota Venza. These include a rearview camera, remote trunk release, and rear floor mats. The steering wheel controls are similar on both cars. Cruise control, audio controls and wireless enabled devices can be accessed with a fingertip. Both Crosstour and Venza have power lumbar, driver’s seat height adjustment and rear fold-down seats. The driver’s seat on Crosstour is 10-way power-adjustable, while Venza has an 8-way adjustable driver’s seat. Crosstour also has cargo area tie-downs, something lacking on the Toyota Venza. 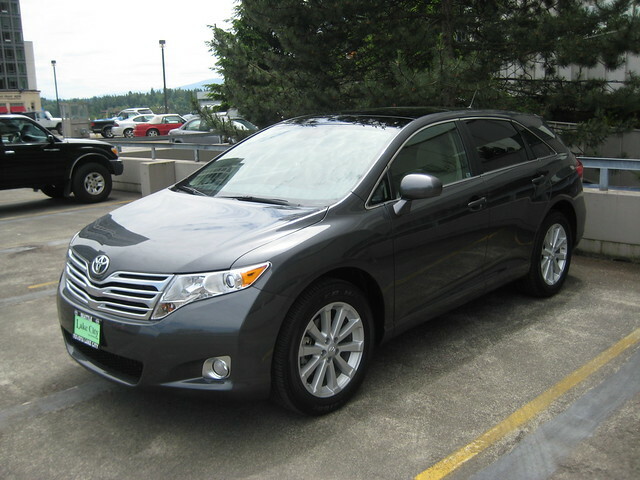 The audio system on both cars is of average quality, but Venza does not have a CD changer as standard equipment. Both cars have MP3 playback and an auxiliary audio input jack. Venza comes with a three-month subscription to Sirius XM Satellite Radio. Both Crosstour and Venza have the latest safety technology included in the base trims. The front airbags are dual-stage, and both models have side curtain airbags and front side airbags. Both vehicles have a four-star NHTSA rollover safety rating. The rear electronic parking aid with camera is standard equipment on Crosstour, but is only available as an option on Venza. Both cars are equipped with traction control, brake assist and childproof rear door locks. Both front and second row head restraints are included on every trim level of Crosstour and Venza. Front headroom is identical on both vehicles. 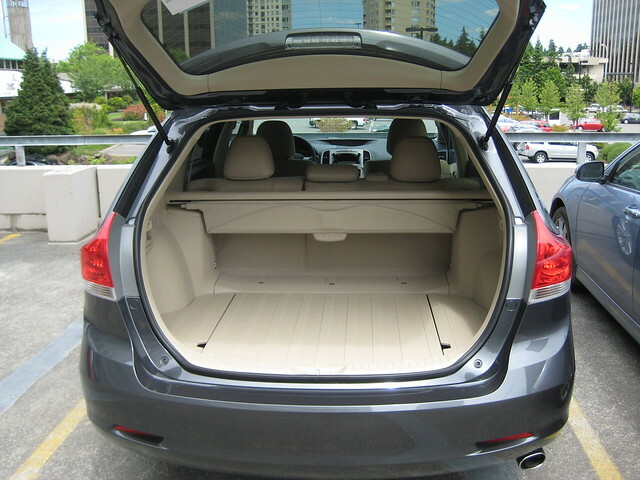 Venza offers about two more inches of headroom in the rear seating area and slightly more second row hip room. Venza has approximately 108 cubic feet of passenger area volume while Crosstour has just over 100 cubic feet of interior volume. The base sticker price is almost identical, starting at around $27,500 for the 2012 models. When similarly equipped, the Venza will cost on average about $500 more. The residual value of each model after 36 months is approximately 50 percent. 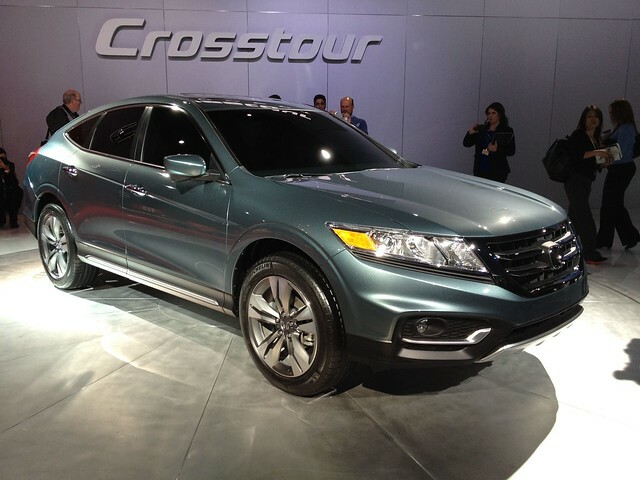 Choosing between the Honda Crosstour vs. Toyota Venza will take some careful consideration. Both cars are attractive and offer plenty of comfort, nice interior features and excellent warranties. If you want a more sporty appearance, go with the Crosstour, but if you want more utility, the Venza is the better choice. What about the 2007 rav4?